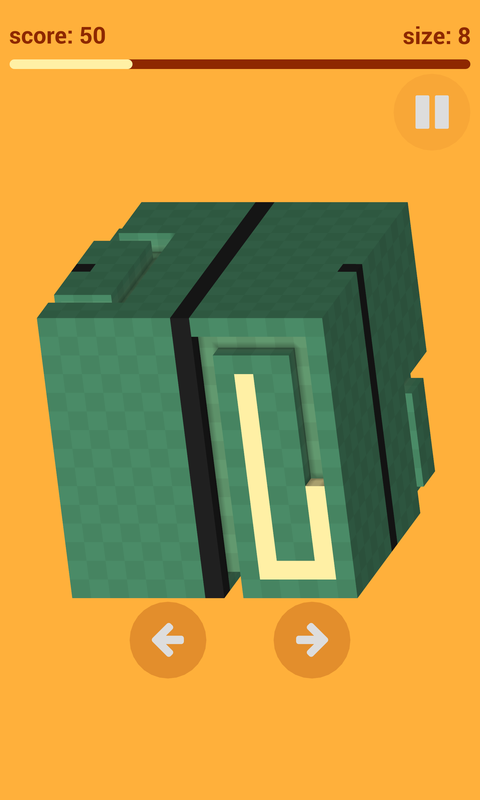 Voxel Snake 3D, a snake game that thinks 2D is not enough. 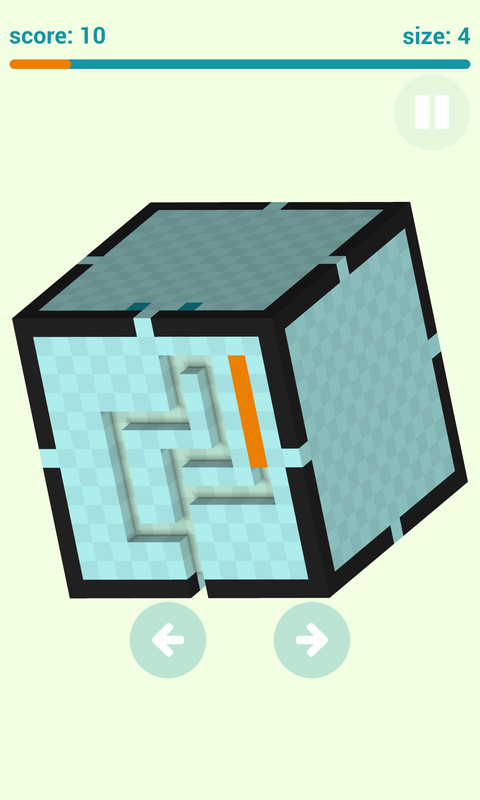 In this spin off of the classic snake games, you move on the surface of a cube, eating voxels along the way. 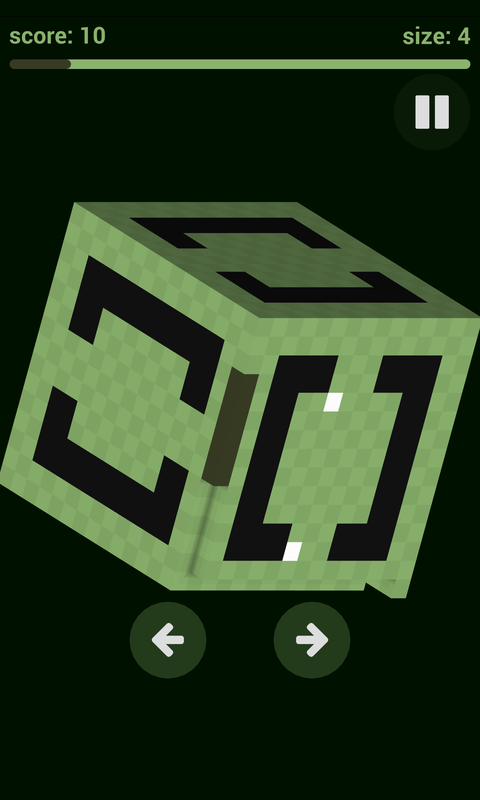 To make the game extra challenging, your snake not only gets longer, but also the cube gets smaller. 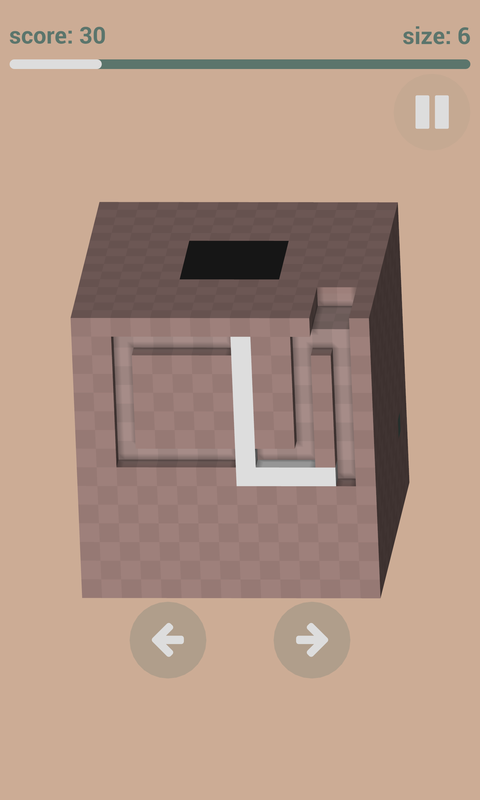 The controls are super simple: just use the buttons to turn right or left. Eat 30 pieces of food to pass a level, but be careful not to hit a wall or your own tail!